Budget MVNO FreedomPop will continue to disrupt traditional operators’ billing model with the launch of a “WiFi first” smartphone in collaboration with Intel. FreedomPop provides a free sim to its customers with 200 minutes, 200 texts and 200MB of 4G data each month, with fair charges for going over this amount. Few people use a large amount of their minutes and texts on their current plans, and instead opt to use OTT services like WhatsApp and Skype which use data instead. For this reason, a large amount of people would go over the free 200MB available in FreedomPop’s basic package. 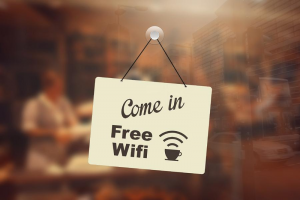 With the increasing amount of free WiFi spots available, some users could get their usage within this amount. FreedomPop is collaborating with Intel to release a phone in 2016 which prioritises the use of WiFi hotspots wherever possible, and enable a seamless transition over to cellular where required.